Clements Court, Hounslow, is a 13 storey residential tower block containing 78 flats owned by Hounslow Borough Council. It is typical of many blocks built in the 1960’s and was overclad by the original contractor a few years ago in order to improve its appearance and thermal performance. 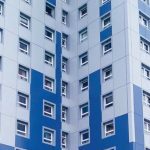 The recent Grenfell Tower fire has focused much attention on cladding systems applied to high-rise buildings. 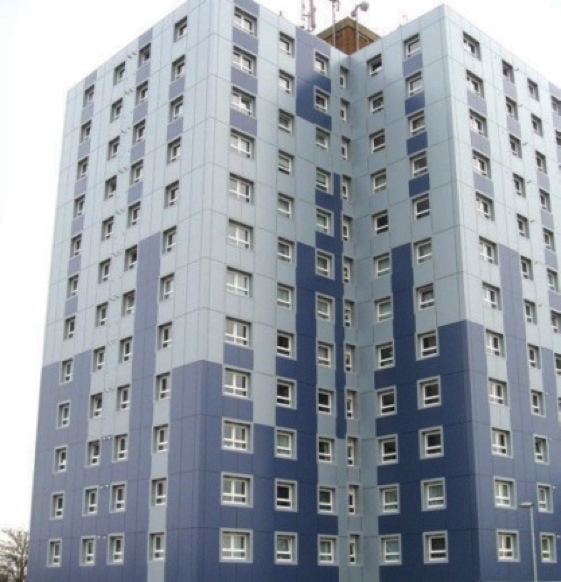 As a matter of urgency Hounslow Borough Council investigated the cladding on all its residential towers and identified Clements Court as being clad in aluminium composite panels (ACM) similar to those used on Grenfell Tower. 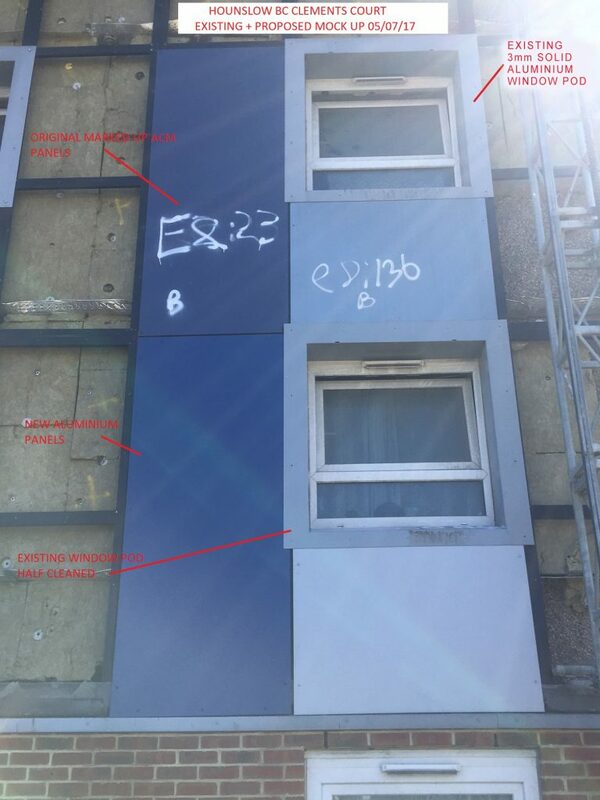 Samples of the cladding were sent to the Building Research Establishment where they failed fire safety testing resulting in the Council deciding to remove them. d+b facades, one of the UK’s leading design build overcladding specialists, was approached by the Council for advice and agreed to undertake not only the removal of the ACM panels and the insulation materials underneath, but also to reinstate the building envelope using panels constructed from solid aluminium which are non-combustible as well as non-combustible insulation. 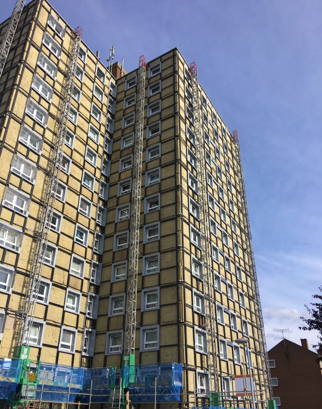 Detailed design work is presently underway assessing the existing support structures prior to commencing installing solid non-combustible aluminium cladding panels and non-combustible insulation. 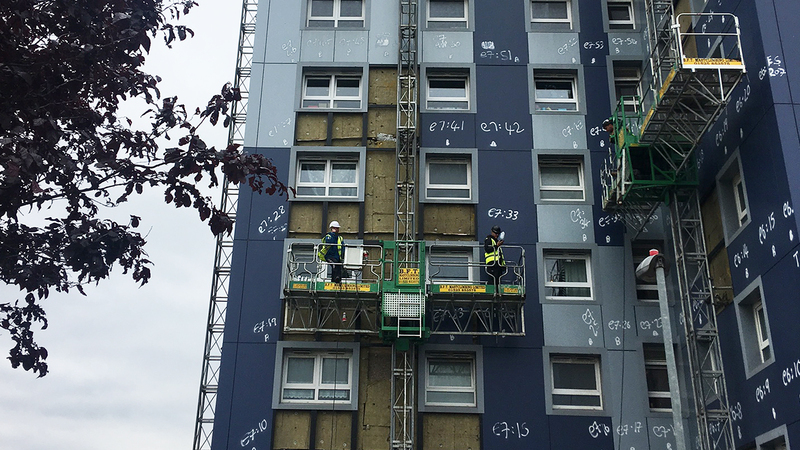 Alan Cochrane, Project Manager, Investment Team (Housing) for the London Borough of Hounslow thanked the d+b facades’ team, commenting “please accept our sincere thanks for acting in the manner you have to de-clad the entire block by pm 4th July 2017. This as we know is the first step in this process and we look forward to now developing a suite of possible solutions for the remainder of the works”.